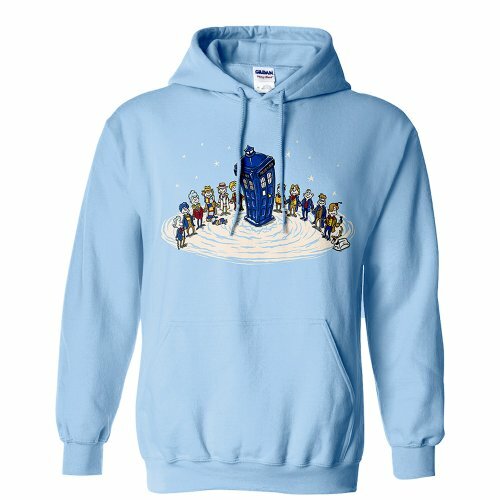 Doctor Who Hoodies For The Whovian In Your Family Add to Flipboard Magazine. 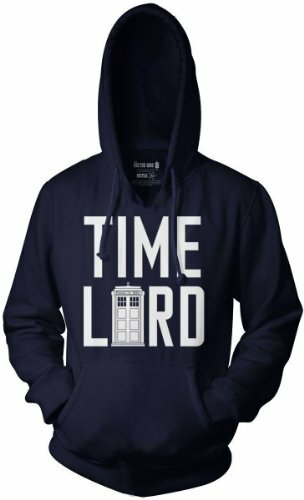 Doctor Who is so popular that you see him everywhere. 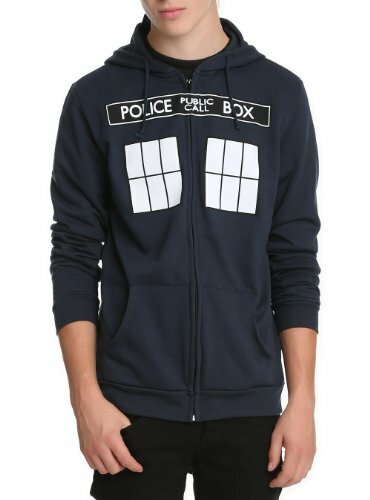 Because of their popularity, Doctor Who Hoodies are the perfect gift idea. Hoodies are a sweatshirt with a hood on it and all the young people call them hoodies. The old ones, like me, always called them sweatshirts with a hood. Funny how things like that change. My sister even had a hoodie specially made for my niece that had all the Doctor Who things on it. Very cool! Maybe she should think about selling them. After I saw hers, I started looking around for one. You must special order them to get them like that. 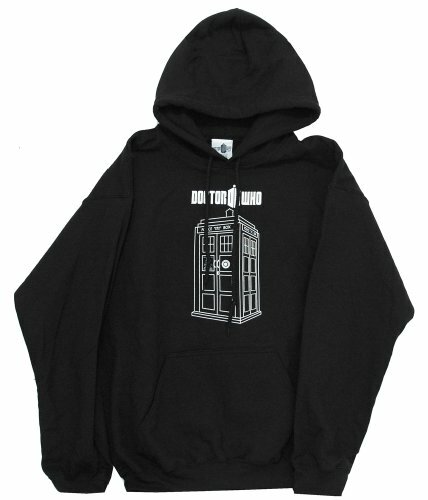 If you watch Doctor Who you will understand these hoodies better than those that don’t. Some will make you laugh, some will make you say hmmm….some will just scare you. 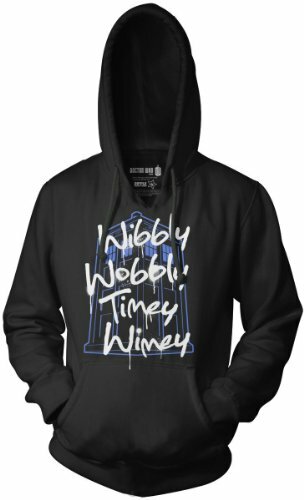 These hoodies have the Tardis on them, as well as some popular words like Wibbly Wobbly Timey Wimey and Time Lord. 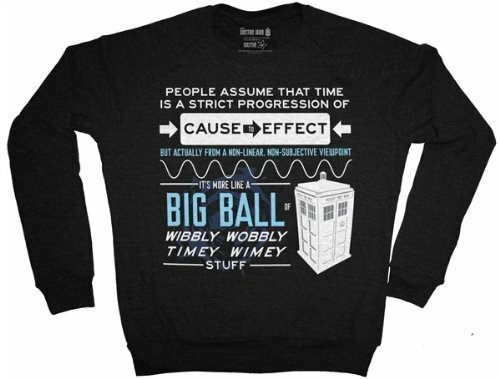 You really need to watch Doctor Who to understand what all that means. Today kids love to wear hoodies almost year round. With winter coming on, now is the time to find some great Dr. Who hoodies for them to wear to school. 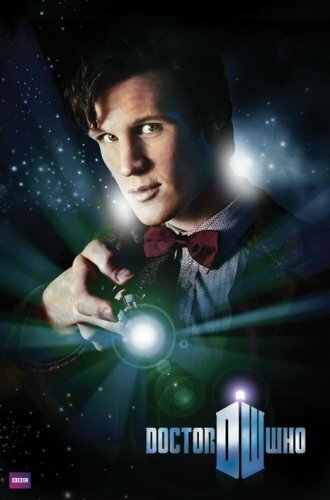 The most popular or widely known object for the Doctor Who show would be the Tardis. Without it, he wouldn’t be Doctor Who. 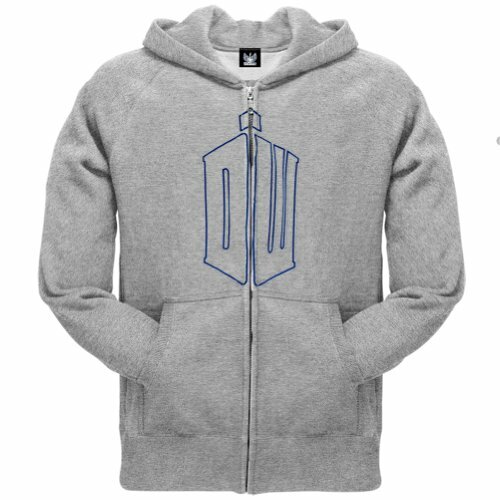 Here you will find plenty of Doctor Who Hoodies with the Tardis on them. There are so many Doctor Who Hoodies on the market that we get tired of seeing the same ones over and over. 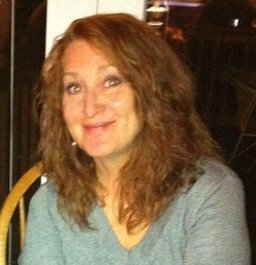 Hopefully I have chosen some that you haven’t seen yet. These don’t have the Tardis on them, but are well loved by Whovians just as well. There are so many Doctor Who Hoodies, that it’s hard to decide on just one. Good thing you aren’t limited to just one. 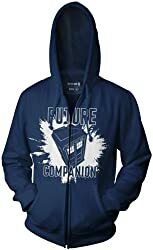 These are perfect for me and women and make perfect gifts for Whovians. 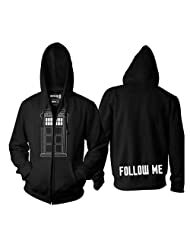 Oh, a Whovian, so I am told, is someone who loves the show Doctor Who. Simple enough. 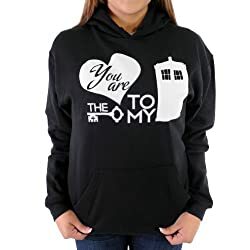 If you are still looking for great gift ideas or just something for yourself….click here for more Doctor Who.